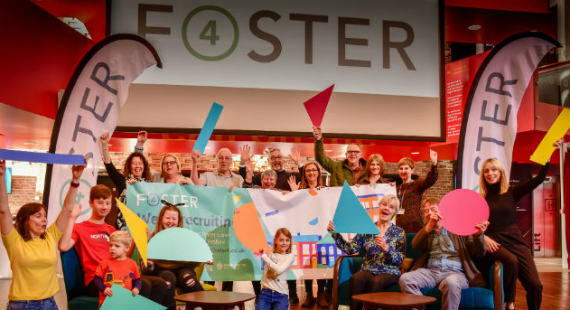 The service, known as ‘Foster4’, operates across the four Cheshire local authorities and aims to recruit more foster carers, as well as provide greater support, training opportunities, rewards and benefits. Councillor Jos Saunders, Cheshire East Council cabinet member for children and families, said: “By increasing our pool of in-house carers we can provide the best possible care for those children and young people who need it most. “Our commitment to improving the lives of cared for children in Cheshire East is more than a priority, it is the way in which we behave, think and feel about our young people in every aspect of our work. Thursday 6 December – 6pm, Crewe Lifestyle Centre, Moss Square, Crewe, CW1 2BB. Residents can learn more about this new fostering service on the website which offers a one-stop-shop, where prospective foster carers can request information and take the first step. There is also a dedicated Facebook page, @Foster4cheshire, where those interested in fostering, and existing carers, can keep up to date with the latest news.